Kim Pratley, Pratley CEO betting his life on the quality of its product, Wondafix. 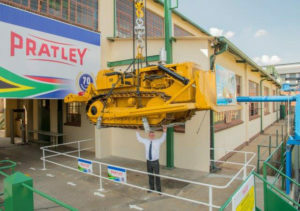 The event took place on Friday 13 July and replicated the stunt 33 years after the first attempt where CEO Kim Pratley stood underneath a 13t bulldozer, hoisted and held aloft by a crane, attached to two plates joined by the unique adhesive, Pratley Wondafix. Such is Kim’s confidence in the quality of the product that the company replicated the death-defying stunt at the Group’s head office in Krugersdorp. “I will still gladly bet my life on the quality of our product,” Kim affirmed before sitting down below the bulldozer to have his picture taken. Its 70th anniversary sees the Group stronger than ever, with over 1 000 products in its stable, and 350 global patents. This is testament to its successful diversification strategy over the decades, and developing new products. This year alone the Group has already introduced two new products, with another three in the pipeline. “We are committed to research and development (R&D), and we see our future in our ongoing run of new products. I hope to see us establish a successful global presence,” Kim comments. “We supply top solutions to our customers, not only to establish longstanding relationships, but also to ensure we respond to changing market needs,” Kim notes. This has resulted in a wealth of brand loyalty over the last 70 years, attributable in part to the Group’s policy of guaranteeing that its products outperform all competitor products globally. This is no idle boast, with the formulation of Pratley Putty in the 1960s not only putting the company on the global map, but even in outer space, as the product was used by NASA as an adhesive on the Ranger Moon Module Project in 1967. Pratley Putty has since become a household name, used to repair and secure everything from swimming pools to the hulls of sunken ships. The Group’s ongoing success is also due to its total control of the manufacturing process. It even runs a mining operation to produce Perlite and Clinoptilolite (zeolite) using proprietary minerals-processing technology. These ores form the basis of a range of highly energy-efficient mineral-based products, for a wide range of applications from ultra-lightweight concrete screeds to thermally insulating plasters, pollution-control, water treatment, swimming pool and pond filtration, and even agriculture. Pratley Electrical manufactures and distributes hi-tech cable glands, electrical junction boxes, and a range of accessories, while Pratley Analytical oversees a micro analysis division that supplies the mining and general industry with reliable and cost-effective sample analysis. 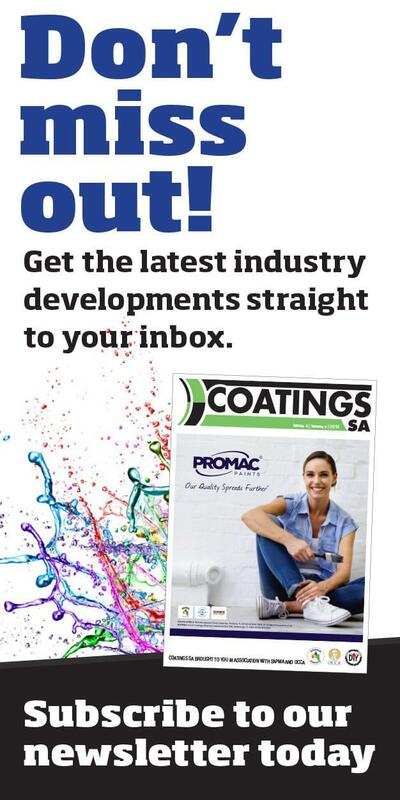 “In all honesty, given our size – and we are a relatively small group – our contribution to the intellectual property of South African industry is unique,” Kim notes. Another key driver for the Group has been its focus on high external service levels, in order to retain customers and secure their loyalty to its brands and products. “In order to achieve this in a South African context, we pretty much have had to do everything ourselves. Hence we make every single thing we produce. This even extends to the design of the bottle and the nozzle used for our Superglue, as well as all of the associated tooling,” Kim highlights. 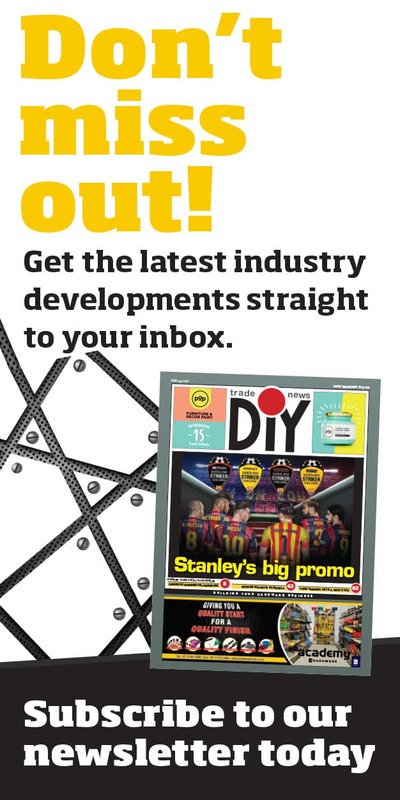 The strategy has seen the group maintain its agility in tough trading conditions, and make it self-reliant in terms of having to deal with other suppliers. 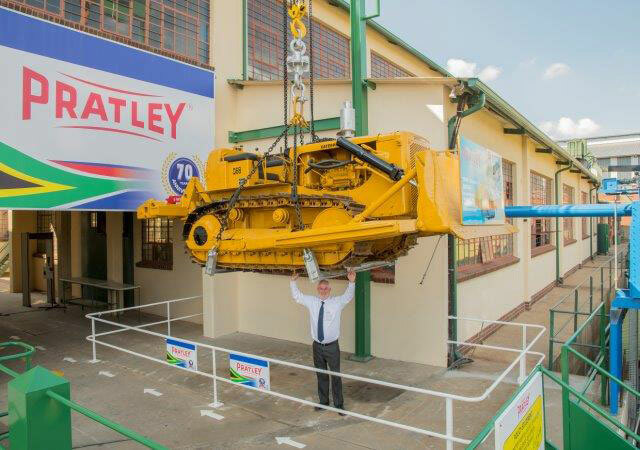 The fact that the Pratley Group has remained a family-owned business is also an important part of its success. Kim’s son Andrew joined the Group in 2005 after completing a degree in information technology, while youngest son Charles joined in 2009 upon completing his mechanical engineering degree. “Corporate culture is under-valued globally, with insufficient attention paid to its impact in financial analysis, for example. This has been one of our defining strengths over the years.” Kim adds that one of his personal highlights as CEO has been the large number of people who began working for the Group, and who have subsequently retired successfully. Staff retention remains high, as does the Group’s considerable investment in attracting top skills.